One of the main spice plantations in Kerala is in Munnar. The spice plantations in Kerala are good to wander about because in these plantations different spices are cultivated at the same time as different sections in the farm. Munnar is a small hill station and is very famous for its green landscape, lakes, reservoirs and dense forests. It is situated 1600 meters above sea level. It is well known for its plantations and tea estates. Munnar is popularly called as the tea town of Kerala. Here there are some of the highest tea estates in the world. 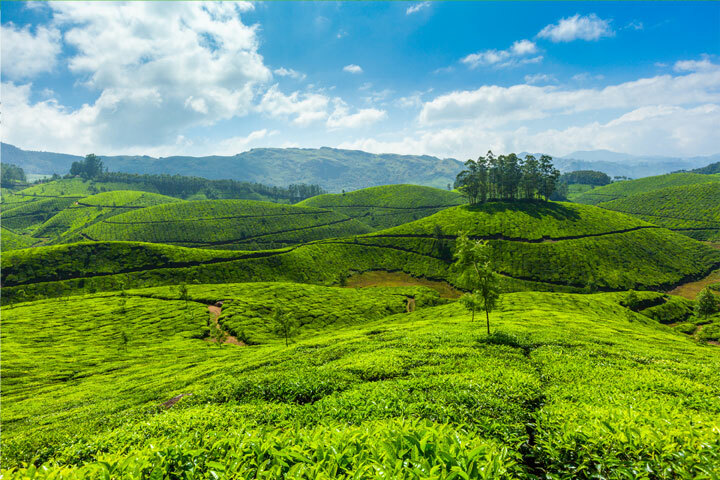 During the rule of the British, Munnar was developed in order to cultivate tea plants. This area is almost completely covered by tea estates and dense forests and is a center of tourist attraction. It is worth visiting these places on your tour to Kerala. Here, it is possible for one to have a leisure time by taking nature walks, bird watching etc. One can also taste the various spices being grown here and breathe the fragrant air. In the spice plantations in Munnar, the spices grown include ginger, cardamom, vanilla, tea, coffee, clove, nutmeg, pepper and garlic. Tea of various types and quality are also available here.